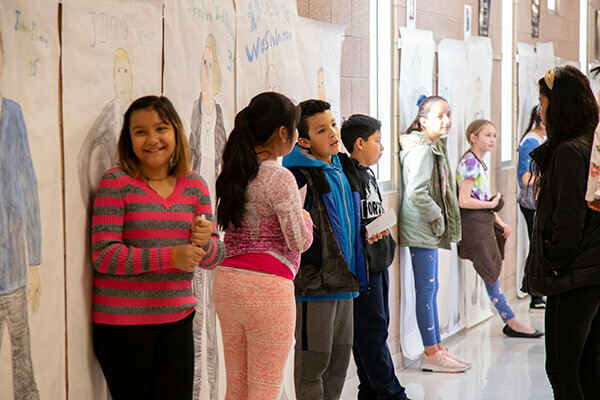 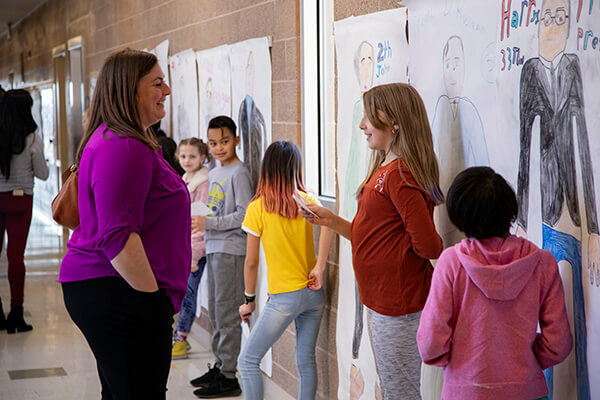 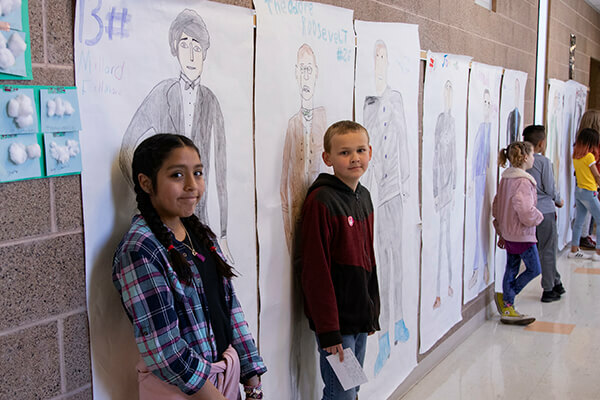 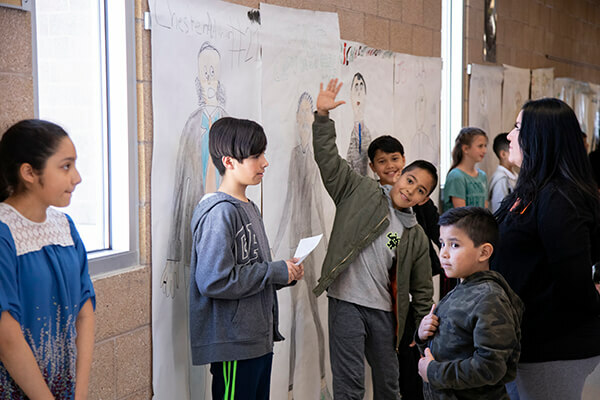 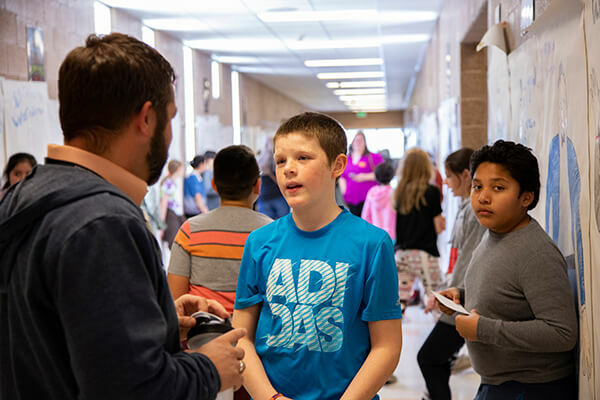 Mike Evans, a fifth grade teacher at Timpanogos Elementary, has been helping his students put together a Presidential Gallery Walk over the past month. 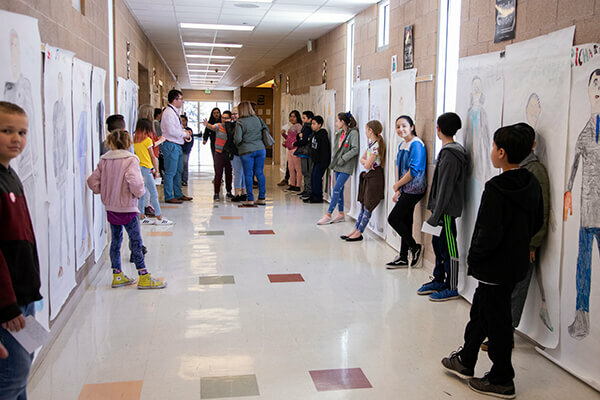 This last Friday, his students were able to present this gallery walk to parents and other visitors. 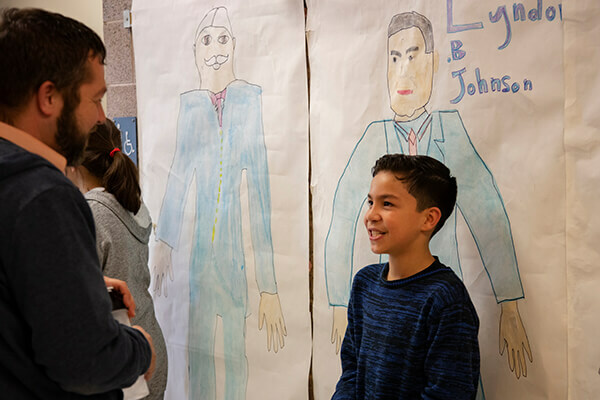 As the students have been learning various comprehension skills, Mr. Evans decided to take it a step further and instruct his students to apply these new skills in order to learn about a former U.S. President. 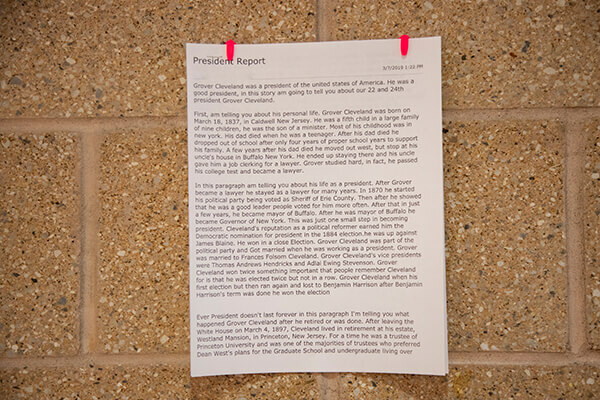 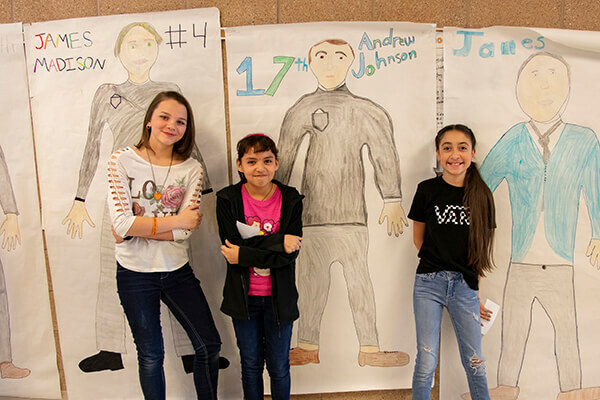 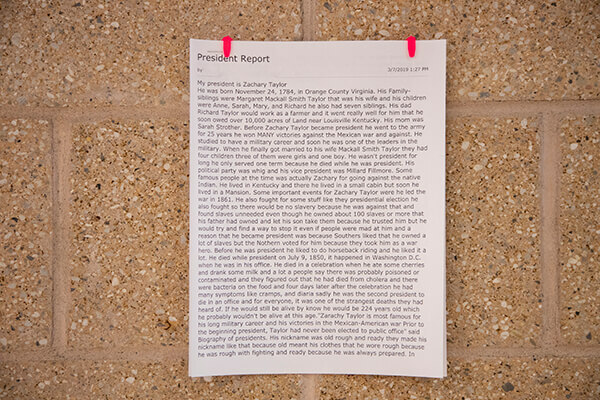 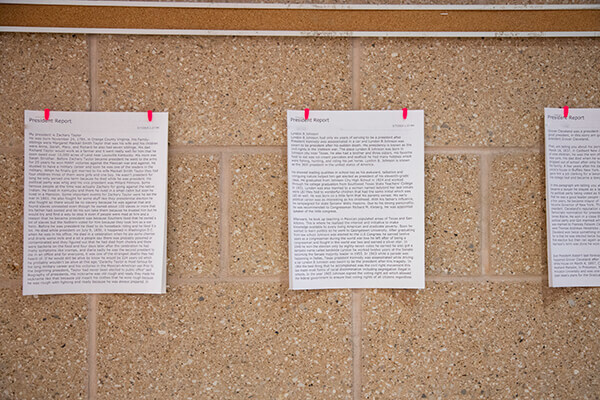 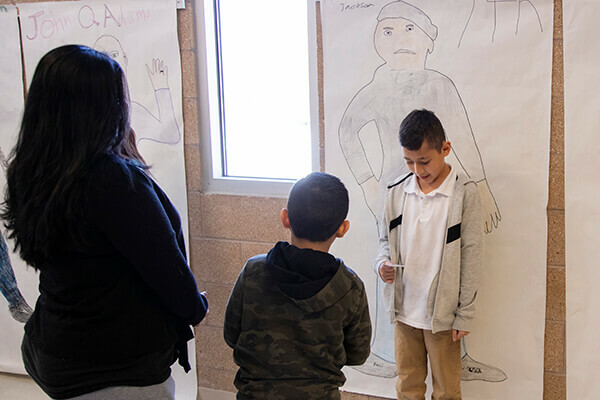 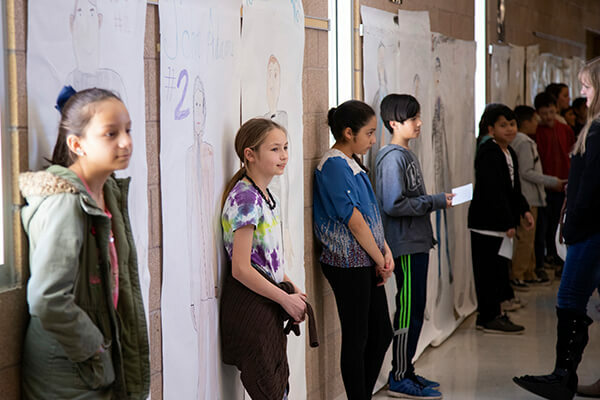 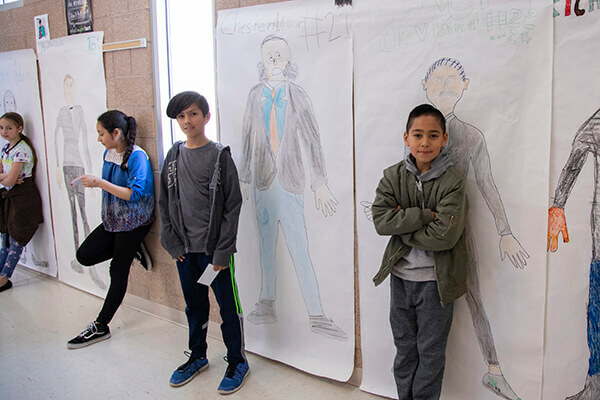 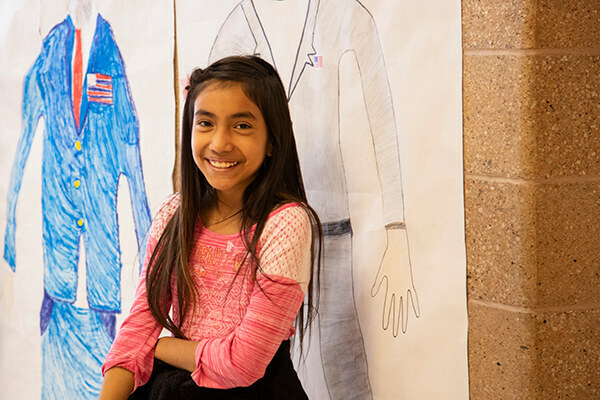 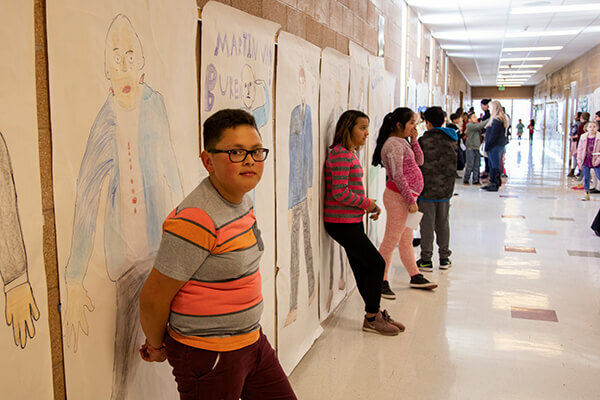 For this project, the students were required to both write an informative essay and create a life-sized portrait of their specific president. 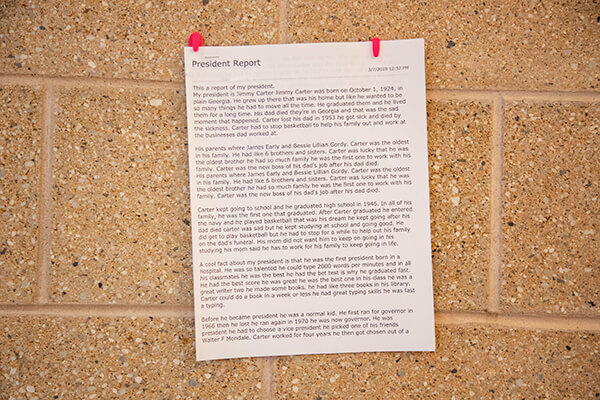 Once these requirements were met, the students began to put together their Presidential Gallery Walk. 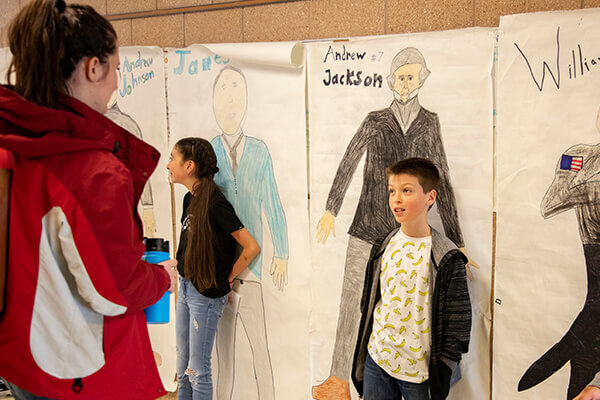 During the gallery walk, the students stood by their life-sized portrait and shared facts about that president with those walking by. 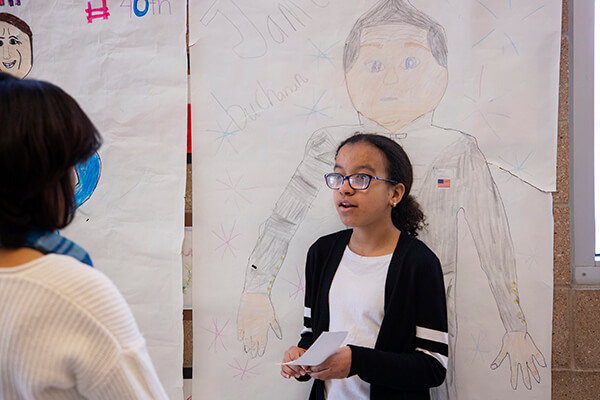 This was many of the students’ favorite part of the project, as they were very excited to share the facts they learned with other people. 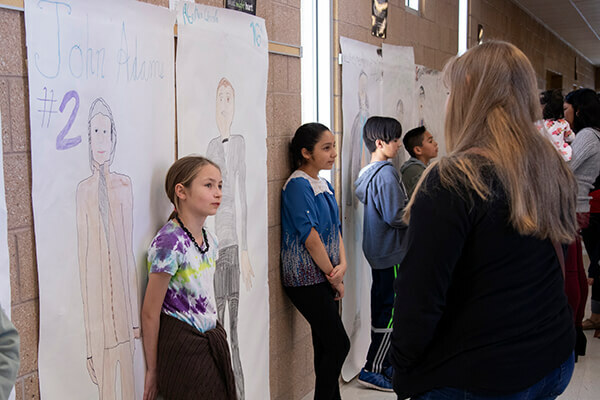 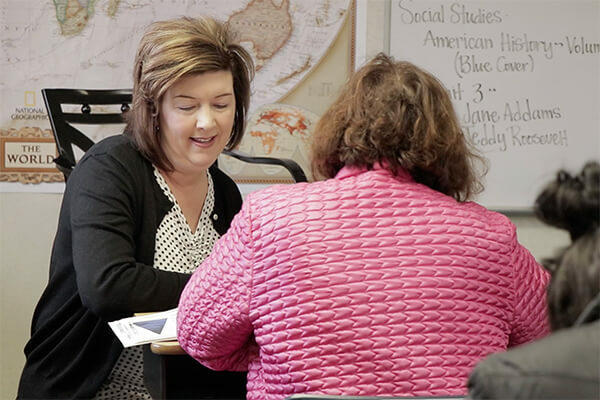 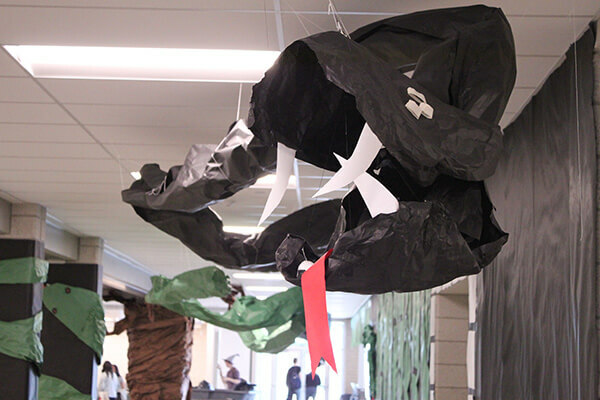 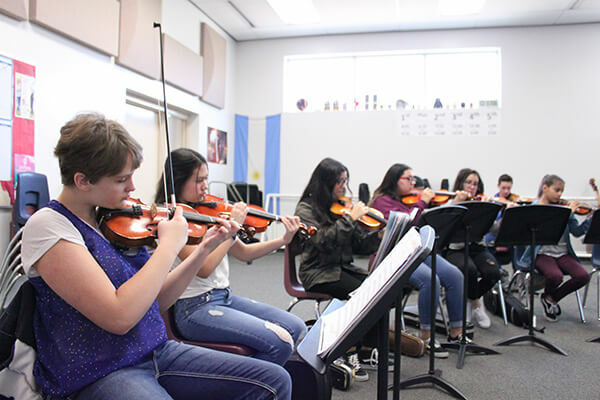 Through participating in this project, these students were able to fully grasp these comprehension concepts with a project that provided a chance to practice in a real-world setting.